Welcome back! Today, I’m excited to feature author Orrin Grey. Orrin has written numerous short stories, which have been published widely as well as collected in Never Bet the Devil & Other Warnings, Painted Monsters & Other Strange Beasts, and his most recent book, Guignol & Other Sardonic Tales. Recently, Orrin and I discussed his new collection, the influence of slasher films on his fiction, as well as his upcoming appearance at The Outer Dark Symposium in March! I’ve wanted to be a writer for as long as I can remember. I think that at some point, when I was a kid, I realized that writers were the people who made up all the stories I loved, and from then on I wanted to be one of those people. As for favorites, I could go on forever. My single biggest influence, always, is Mike Mignola. He’s who I want to be when I grow up, but I can’t draw, so I do this instead. When it comes to Old Dead White Guy authors, the big three for me are Manly Wade Wellman, William Hope Hodgson, and E.F. Benson. 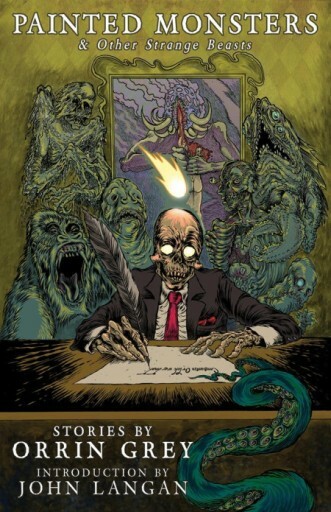 I was also hugely influenced by early Clive Barker, not to mention, just, tons of others. Just tons. One of the reasons I like to do my author’s notes in my collections is so that I can call out influences as they happen, because there are always way too many for questions like these. 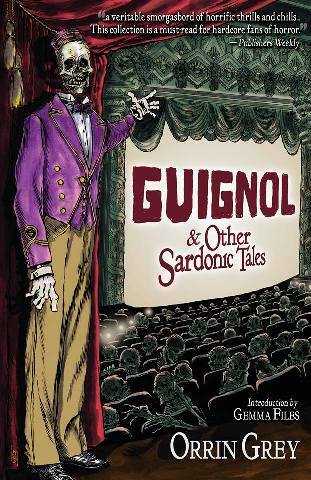 Congrats on the recent release of Guignol & Other Sardonic Tales! How did you select the stories that were included in this book, and what themes in particular were you looking to explore? Your first two collections, Never Bet the Devil & Other Warnings and Painted Monsters & Other Strange Beasts, were released in 2012 and 2015 respectively. How was your process different (or the same) in putting together each of your collections? Do you have different considerations for each book, or do you approach all your collections in a similar way? When it came time to publish Painted Monsters, I had a lot more published stories under my belt, and so I had the opportunity to do something different. With it, I had a very specific theme in mind. I had written a lot of stories that dealt with horror film–either head-on or more surreptitiously–and I decided that I wanted to release a collection that mapped the history of horror cinema, from the German Expressionist films of the silent era to the found footage ghost movies that were in theaters when I was writing. With Guignol, I didn’t have the same kind of theme in mind, but I was also drawing from stories written across a smaller period of time. The stories in Painted Monsters span years of my writing, with a few of them having been written back before I was writing for a living. By contrast, all the stories in Guignol were written over the last couple of years, and they were written during a time when I was dealing with a lot of stress and trauma, which found its way into my writing. As such, while Guignol doesn’t have the high-concept of Painted Monsters, there are certainly themes that run through all the stories in it, about dealing with trauma, and the ways in which the past is never as far behind us as we might like. With any collection, only certain stories are going to “fit,” and sometimes what that actually means is as nebulous as a gut feeling. In the case of Guignol, I had originally intended to include a story called “The House of Mars” and not to include the story “Dream House,” but I couldn’t make the collection come together. My wife is the one who suggested that “House of Mars” didn’t fit, and after dropping it out and putting “Dream House” in, everything suddenly snapped into place. Your recent story, “The Hurrah (aka Corpse Scene),” appeared in The Dark last summer. What was the inspiration behind this story? Also, did you have any specific actresses in mind as the inspiration for the mother character? There were a lot of factors that went into me writing “The Hurrah” how and when I did. I wanted to write about horror conventions, and I wanted to write about my own changing relationship with the genre, which I’ll talk a bit more about below, but mostly, I had seen the 2015 film The Final Girls, which is this surprisingly touching movie about a young woman trying to establish some connection with her dead mother through this low-rent slasher film that her mom was in once. I loved that idea, but the movie tackled it so well that I knew I couldn’t just borrow it whole cloth, so I ended up taking it in a different direction. In the story, I mention Jamie Lee Curtis and Jessica Harper, and if I had any one person in mind, it was probably the latter. But if I was going to dedicate the story to someone, it would be the women who played all the other girls in those slasher movies. The ones who didn’t get to be final girls. The promiscuous best friends and the caustic sorority girls. Nancy Loomis in Halloween or Margot Kidder in Black Christmas. Still keeping with this theme, what in your opinion is the perennial appeal of the slasher film? Do you remember the first slasher film you saw, and do you have a personal favorite? 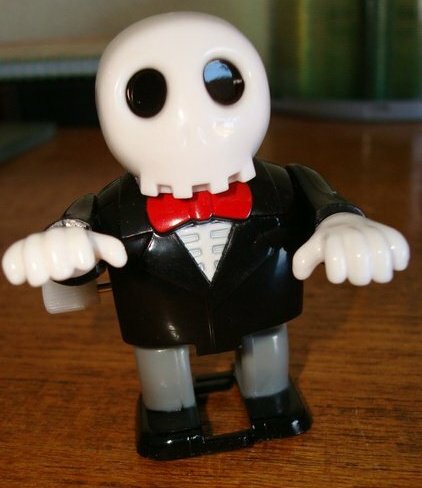 Actually, when I was younger, I didn’t much care for slasher movies. I watched the later installments of the big three (Halloween, Friday the 13th, and Nightmare on Elm Street) of course, and I’m of the age where Scream was a big thing for me, but I tended to dismiss slashers in the same way that a lot of people do: as little more than rote body count movies with (for me) boring monsters, or no monsters at all. It wasn’t until I re-examined the slasher genre from a new perspective–which I picked up thanks to writers like Adam Cesare and Stephen Graham Jones–that I started to get the appeal of the form. To some extent, then, writing “The Hurrah” was a way for me to chart my own changing relationship with slasher films. As for favorites, my top pick from among the many titles that aren’t part of the big three franchises would probably be the much-maligned April Fool’s Day. You are slated as a guest for The Outer Dark Symposium this March in Atlanta. You were also a guest last year at the symposium in California. What makes this convention one that you’re eager to be part of? Also, in general, do you tend to get out to a lot of conventions, and if so, what’s made the experience a worthwhile one for you? I’ll be completely honest and say that part of the reason I made it a point to go to last year’s Outer Dark Symposium is because it was held in the Winchester Mystery House, which is someplace I have always wanted to visit. But I would probably have gone anyway. The Symposium is just a really interesting experiment to me–one long track of panels that everyone attends, so no one misses anything, and laser-focused on the Weird in fiction and media–and the people who put it on are always great fun to hang out with. I try to do one or two conventions every year. I think the most important thing about them, for me, is just getting to meet people. I find that once I’ve interacted with someone in person, even once, it changes my interactions with them online. I can put a voice, a face, a set of mannerisms to the words on the screen that helps me to interface more naturally and easily. Plus, as someone who is a bit of a homebody, they’re among my only bits of in-person socializing each year. I’m a pretty dedicated short story writer, so the answer to “what’s next” for me is almost always “more short stories.” I recently wrapped up a “story cycle” of linked tales that either have appeared or are slated to appear in various places, and I would love to get them collected together in the near future. I’m also trying to do more film writing. At the moment, I regularly contribute Blu-ray reviews to Signal Horizon and Unwinnable, and I’ve got a follow-up to Monsters from the Vault, my book of essays on vintage horror films, coming out later this year. My website is orringrey.com and I’m Orrin Grey on Twitter, Facebook, and Instagram. Phil Gelatt is trying to get me to sign up for Letterboxd, so when I do that, I’ll be Orrin Grey on there, as well. Big thanks to Orrin Grey for being part of this week’s author interview series! This entry was posted in Fiction, Interviews on January 31, 2019 by gwendolynkiste.